Gengxgeng is back this year! 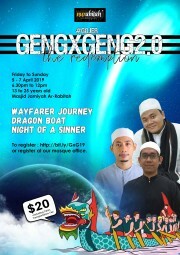 Gengxgeng is Nurabitah Youth annual event. This year we have exciting Highlights and amazing asatizah joining us.